Subscriptions. What does the word inspire for you? Loyalty rewarded, endless joyful consumption, the triumph of flexible use over ownership? Or dreaded commitment, unfair monthly tax and the perpetual question — am I getting fair value for my money? Should I stay or should I go? All in all, it depends on your experience as a subscriber. Let’s first clarify what doesn’t matter as a subscriber: your payment and your bill. These have to be correct, but no one has ever said “I love Spotify because I can pay with my favourite credit card and they sent me a neat receipt”. Whether it’s an infinite library of immediately streamable content like Netflix and Spotify; the ever convenience of Amazon Prime and HelloFresh; the total flexibility of ZipCar or Turo; or the access to the best thought pieces from the Economist and Wired, the product is the secret sauce of a company and why subscribers come in the first place. It’s the reason the business exists and its their competitive edge. It’s by design unique and it should be hard to reproduce by others because of defensive moats like intellectual rights, network effects, sunk capital or human talent. Provide a personalisation tool for your product: the FT launched myFT in 2016 with a simple idea: you should be able to see your favourite content first. Ultimately, it turned into an opportunity to better understand their readers and start doing predictive content recommendations. Be where your subscribers are: The Economist is a true multi-channel company. Website, apps, magazine, podcast, video, content distributed on Facebook, the Economist wants to engage subscribers where there are. Ultimately, engaged readers don’t churn. Get your onboarding right: first impressions matter, and you want customers to immediately realise value from their subscription. For example, Spotify asks you to identify three artists you like so that they can recommend playlists they think you will like and will get you immediately engaged with their product. Other subscription companies send personalised get started emails or even calls from customer service. For every subscription, there is a price. Or prices. A subscription is a trade-off between perceived value and readiness to pay. No two subscribers are equal. Find the right price and subscribers don’t churn. But discount too much and you don’t make money. Companies that have a one-size-fits-all pricing strategy are really missing the trick for a variety of reasons. Ability to spend: not everyone can afford a premium price. Children and students, or people with low income or seniors, can’t afford as many subscriptions as the 1%. Whether this matters to your business is your decision: the FT found that offering its subscription for free to students was a wise business move as reading its newspaper early in adult life is habit forming. Consumption level: some subscribers are power users, some will consume your product sparingly. Some will have peak usage during holidays and avoid your service the rest of the time. Not everyone will be using a subscription in the same way. While a lot of subscriptions are habit-forming and impose a cadence (think 4-meals a week HelloFresh), subscribers’ lifestyle and situation may change through the long-term. Loyalty: some subscribers might be on 10-year old grandfathered plans. Others may be on a 3-month trial with every intention to churn once the price increases to regular level. Funnily enough, guess who’s usually paying the lowest price? Scarcity: If you are a sports team, well there are only so many subscribers you can fit in your VIP area. Your pricing should reflect that. Lifestyle: subscribers often have multiple streaming services, just like they may have multiple phones, multiple electricity bills and go to different gym classes. Why not create bundles that mirror your subscriber’s lifestyle and gives them a good deal? It could even be part of new non-competitive product discovery. Personalised price: this is truly the holy grail and something that is already happening behind the scene to a certain extent, especially when people are considering cancelling a subscription. It requires a lot of data, but it’s about solving a simple question: what is the price that will retain/re-acquire this subscriber while maximising their lifetime value? It’s a shot in the dark if you don’t have an offer management system with embedded analytics. Segment pricing: some prospective subscribers may be particularly interesting to you, like students. Once you’ve identified them, you can provide reduced rates that incentivise them to use your product. One challenge can be for people to prove their identity and avoid fraud. Expect some revenue leakage if you don’t have an order management system. PAYG pricing: while multiple tiers may capture varying consumption level, it may not be enough. Sure you may have two different offers for Netflix on 2 or 4 devices, but what about if you’re only in for Orange is the New Black, not the whole set of Marvel series? Well in the world of mobile phones, this is a solved problem: pay-as-you-go offers, sometime combined with a really low-priced monthly subscription. Freebies and discounts: subscribers are reliable, which is great for cash-flow. It’s also great to be able to say ‘you’ve been with us for the last 3 years and we value that’. 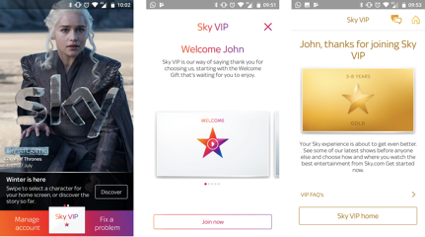 Whether it’s a higher tier of service, a temporary discount or free use, access to free merchandise or events, VIP lane to your contact centre, there is so much you can do to reward loyalty and encourage people to stick with you for the long haul. Bundles and tiering: buy 1, get 2nd half-price. Get 2 and the 3rd is free. Buy a pack of 5 and they are all 30% off. Pretty regular stuff for e-commerce. But somewhat challenging for many subscription companies. Whether it’s bundling your own products, offering free trials to other services, bundling one-off purchases, there’s a lot of ways to re-package your offers. Every company strives for good service. As a subscription company, do you enable customers to cancel online (hint: YOU SHOULD)? Do you let them downgrade easily? Do you allow them to break a contractual commitment at a fair cost? Can a subscriber pause their subscription? Can they get the same good deal as a new subscriber if they’ve been loyal? Can all these things done through mobile, desktop or on the phone? If you’ve answered no to any of those, then you are missing a trick. What’s the point of having a premium version if your customer service feels like Ryanair? It’s bad business. A subscriber who has had a hard time to cancel is a subscriber who won’t come back. A subscriber who can’t get a discount or pause is a subscriber who is going to vocally complain and churn. Of course, you want to check for abuses. But way too often, it’s more about companies’ inabilities to track and manage the subscriber interactions throughout the lifecycle, lack of technology to dynamically personalise available subscription management options across channels and yes: short-term corporate thinking. Invest in your self-service mobile and desktop capabilities. Allow for a proper customer service team with modern order management tools. Don’t skimp. Acquiring a subscriber cost 7x more than retaining one. By treating your subscribers well, you may be able to cross-sell them new products or upsell them to your premium tier.